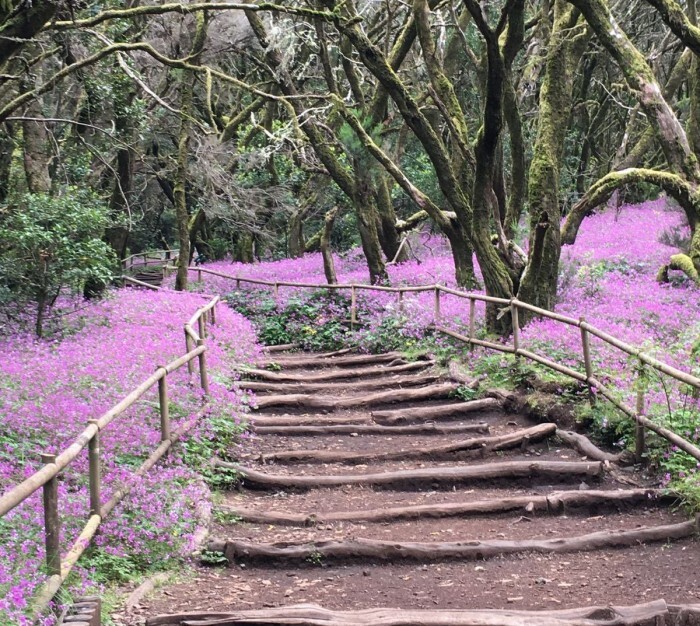 Those who’ve been in the National Park of Garajonay on La Gomera one of the past few days, may have noticed a magnificent change in the colors of the park. 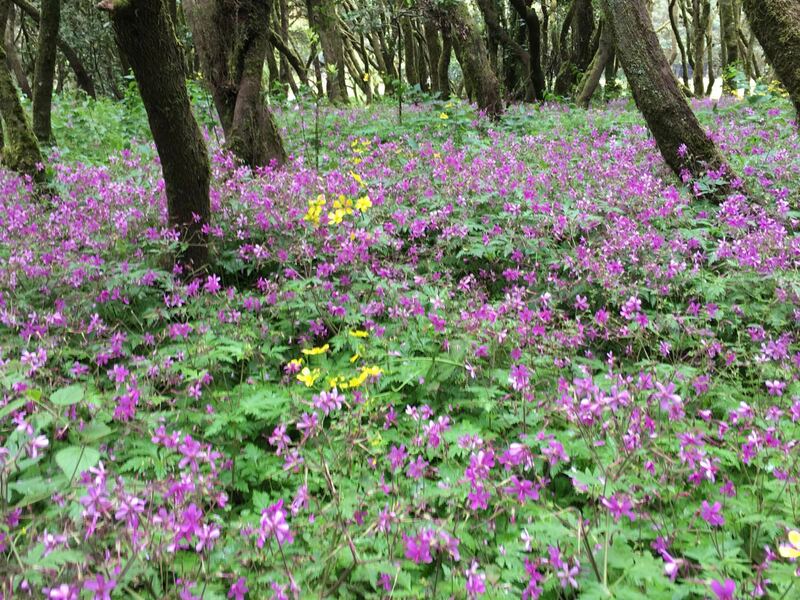 The many shades of green haven’t disappeared but have been enriched with an abundance of purple, blue and pink. 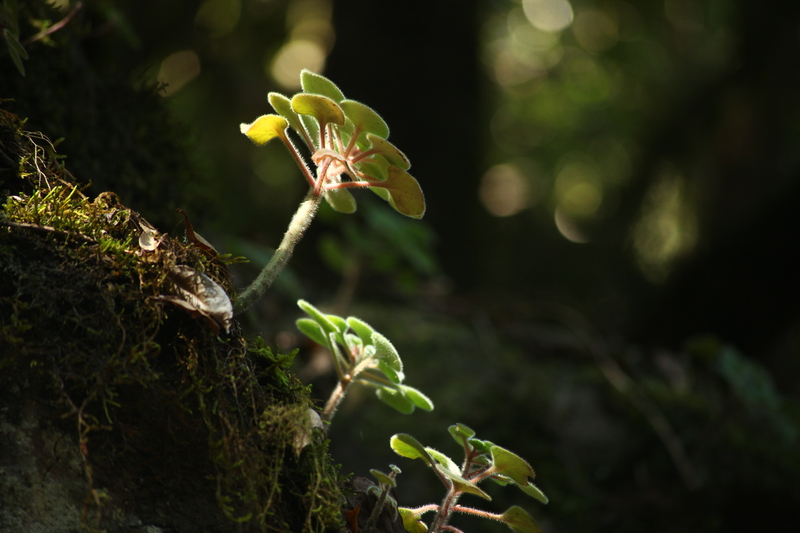 Spring had arrived in the national park! 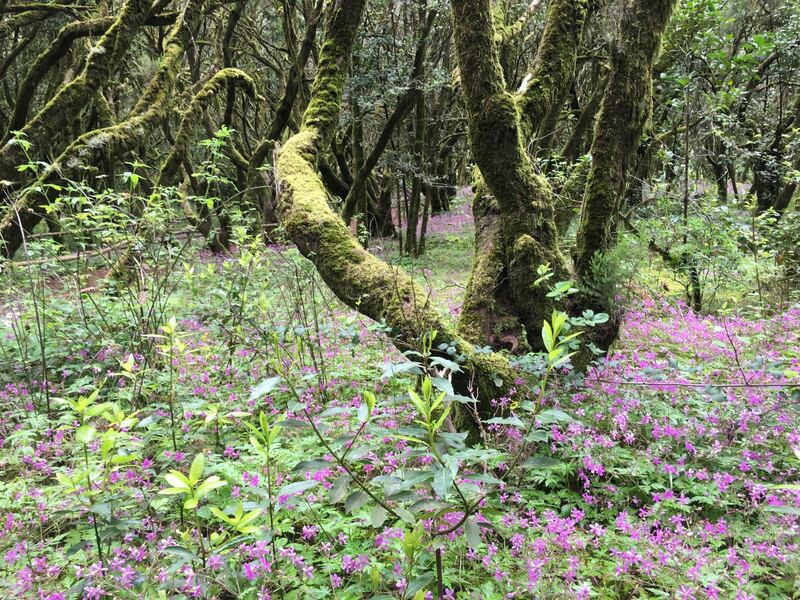 Spring is a fleeting season in La Gomera. If you want to witness the splendor of the many flowers in bloom you have to be quick. But it’s most certainly worth a visit. 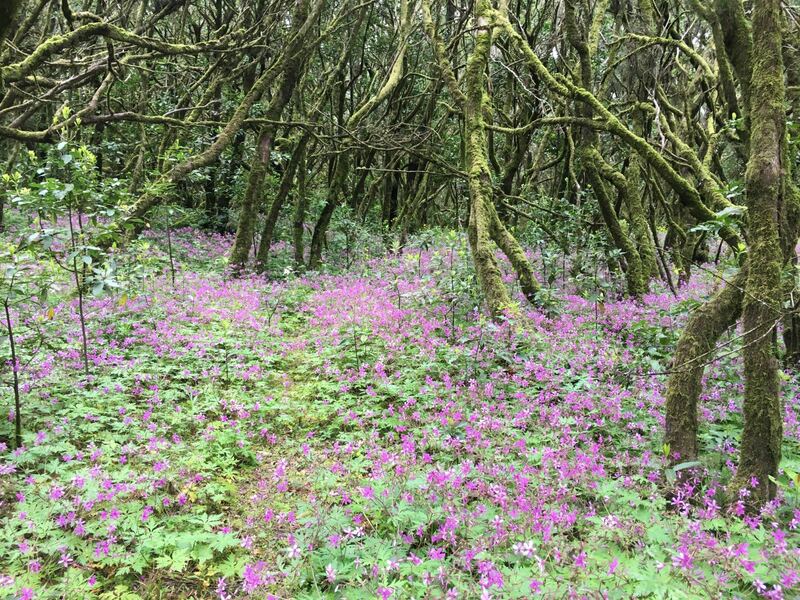 The geraniums lay out like a tapestry between the majestic mossy trees. Here and there a yellow buttercup stands out and makes the scenery even more colorful. 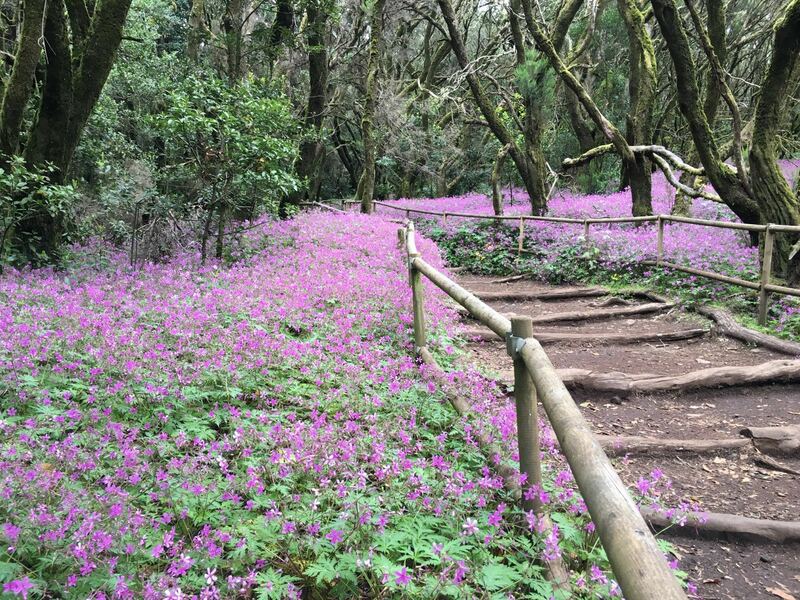 Spring is definitely one of the best periods to come and visit the national park of Garajonay. 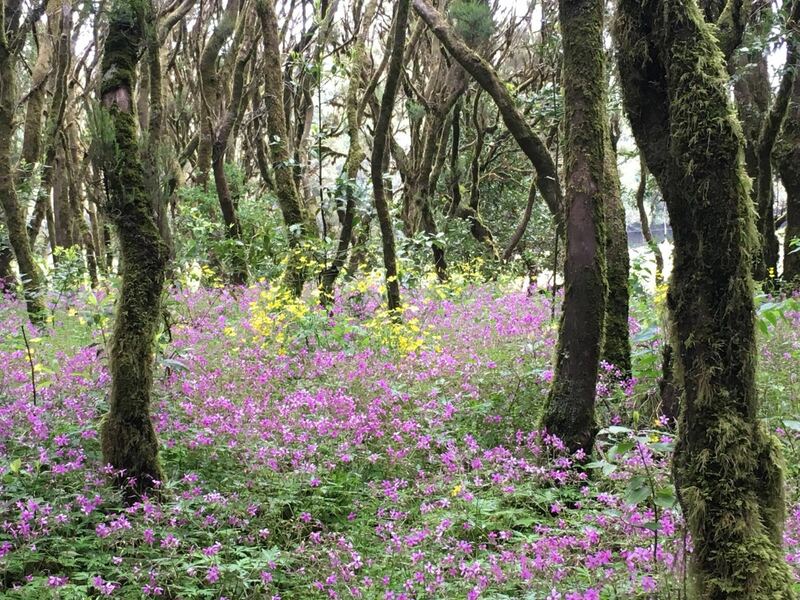 All the endemic plants and flowers show their best sides for a brief moment and we can enjoy them in many places on the island. 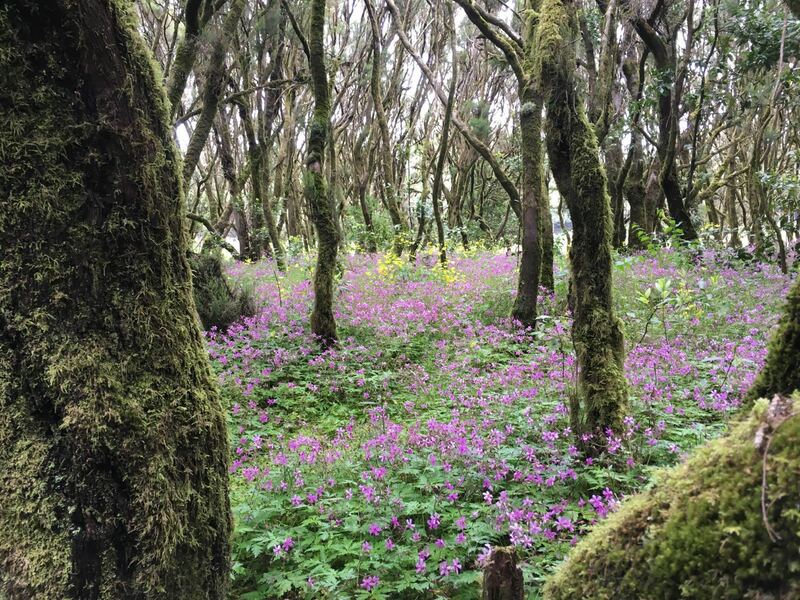 One of the best spots to observe the richness of flowers is in ‘La Laguna Grande’, a natural open space in the middle of the park and ‘El jardín de las Creces’; here you can enjoy a beautiful walk in the garden of the forest, as the locals call it. Be sure to check it out before it’s too late!